WEEKEND 2 – HFBF – ITS GOING TO BE A BIG ONE! WEEKEND 2 – HFBF – ITS GOING TO BE A BIG ONE!. Word is that the second weekend of the Huron Fringe Birding Festival promises to be one for the birds – i.e. – there will be lots and lots of them. That’s what the local birders are all excited about. Why? Well, remember that frigid ‘Arctic Vortrex’ that made the winter of 2014 a thing of legend? It delayed everything spring such that the migration should be ramping up for the first HFBF weekend and the second should be busier than usual bird-wise. All the more reason to visit: http://www.friendsofmacgregor.org and check out our second weekend event availabilities. There are lots of hikes available designed to give you a most satisfying birding experience. It will be a peak time for birds that you won’t want to miss. Two optimal viewing spots to see what is incoming are the Tower Trail and the Ducks Unlimited pond. The viewing tower and the bird blind are perfect for sightings. The habitat, a mix of wetlands and hardwood forests is just what the birds are looking for. And, it so happens, that Justin Peter is leading a hike called ‘BIRDING THE TOWER TRAIL’ (B32) on SUNDAY JUNE 1 at 6:30 AM and there are 16 OPENINGS AVAILABLE . Come see what he is looking at. B32 – Birding the Tower Trail. June 1. You’ll want to take advantage of this because Justin truly lives “for the birds”. In fact, he cannot remember a time when he was not interested in birds and nature. After university he eventually landed work as a seasonal, and then full-time interpretive naturalist at Gatineau Park. 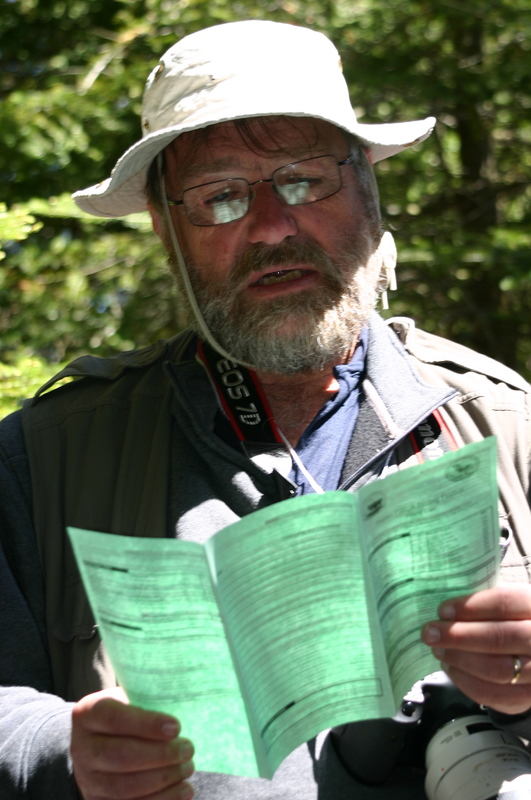 Three years later, he began full-time work as Senior Park Naturalist at Algonquin Park, where spent 7 years, organizing the park’s educational programming based at the Visitor Centre, recruiting and mentoring promising young interpretive naturalists, and assisting with various park management activities. Justin joined Quest Nature Tours in 2013 as Director of Programs, where he continues to apply and expand his interests in wildlife (including birds, of course!). Justin has participated in various bird-related projects. He married his interests in birds and in languages by participating in a migration-monitoring program at the Strait of Gibraltar in Spain. He did a stint as a bird-banding assistant at the Observatoire d’oiseaux de Tadoussac in Quebec. His very favourite thing will always be leading bird walks. He is particularly interested in bird behavior and vocalizations, and enjoys raising others’ awareness of these aspects in the field. A few years ago, that headline appeared in the Saugeen Times of Saugeen Shores. To area birders this was significant news. To Stew Nutt of Southampton it was especially significant. He stated, “We are celebrating the Piping Plover’s return to the Canadian shores of Lake Huron”. 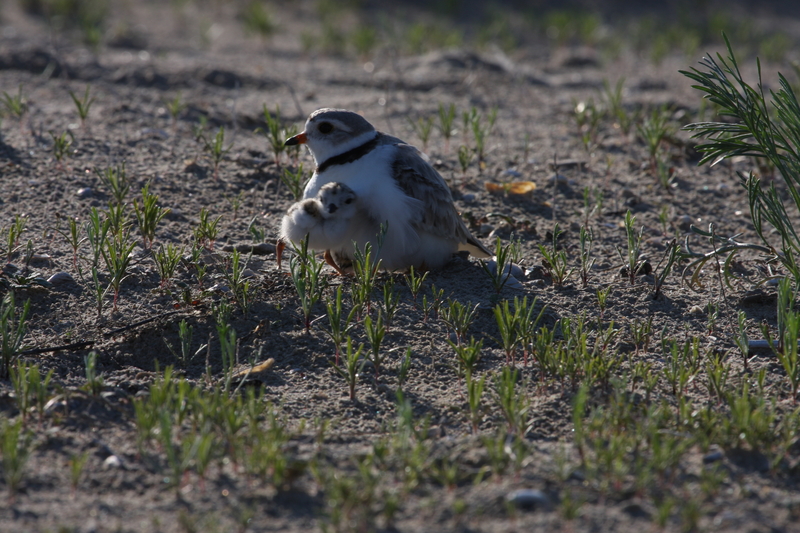 Their presence so close to home marked the beginning of a quest by Stew to lead in the efforts to see that the Plover’s return would become an annual event, helping to secure their survival. Under that headline came an article by author and birding expert Mick Pickup that went on to describe Stew’s involvement with the plovers. To which Stew has commented: Sometimes, we are presented with unique opportunities that can change our lives. 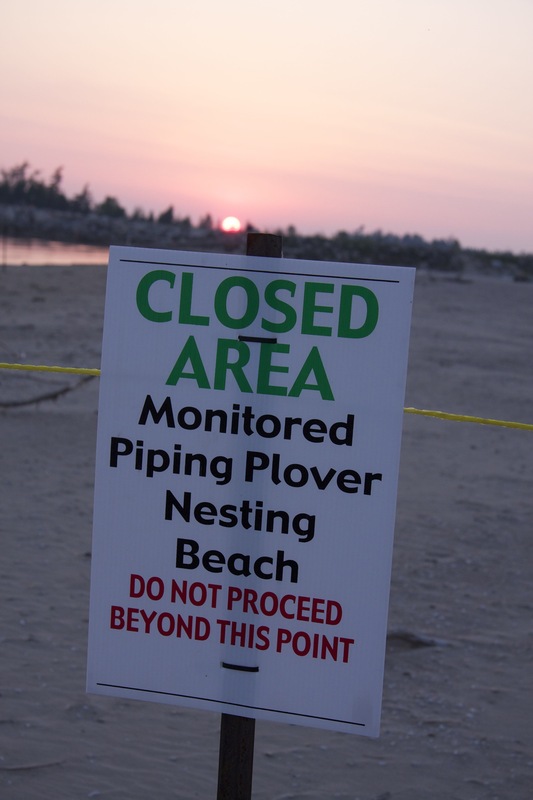 For me this opportunity came in the summer of 2007 when the endangered Piping Plovers arrived and established a nest at Sauble Beach. These birds build their nests, mere scrapes in the sand, on the beach close to the shoreline and usually in the same area. This becomes their habitat for feeding, nesting and raising young. Such habitats are mostly inhospitable for survival as many beach areas are used for beach and water-based recreation. They are also of course used for development. 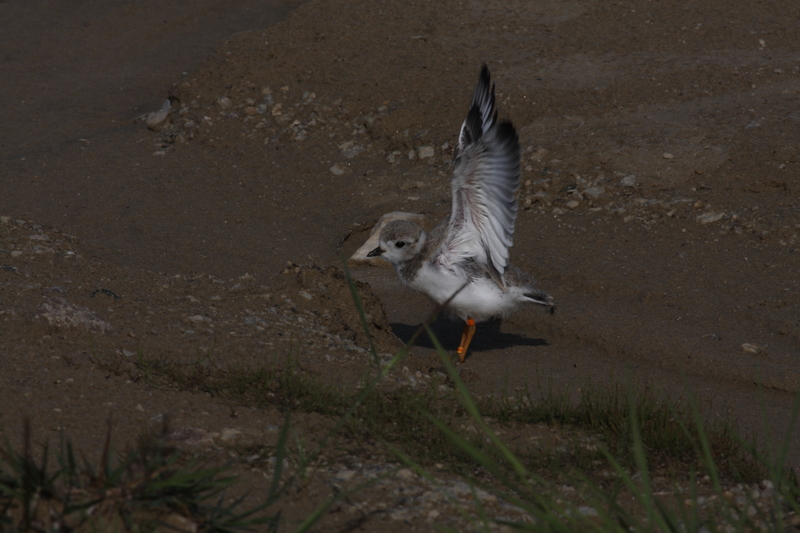 As such Piping Plovers are struggling to survive. They are forced to battle the elements, human encroachment, and many predators. 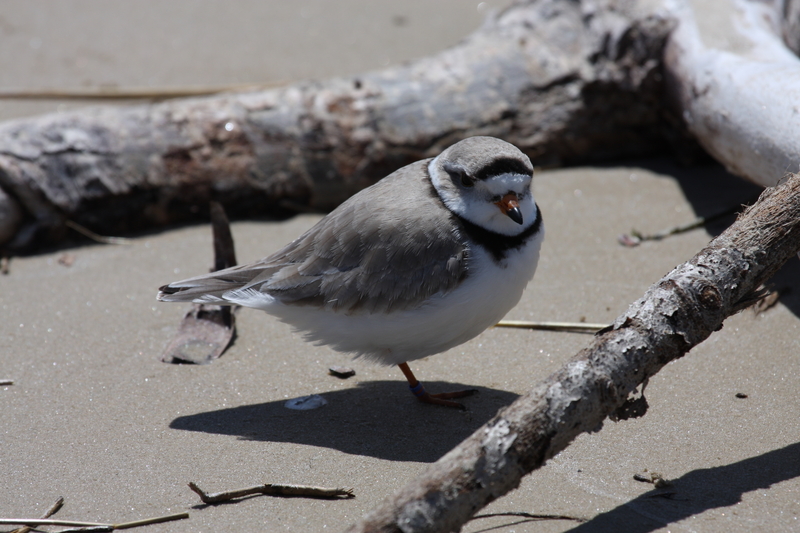 As a special event at this year’s Huron Fringe Birding Festival I invite you to join me as we travel to the nesting area(s) at Sauble Beach and observe the plovers’ behaviors including: courtship, feeding, life history, territorial displays and fierce protection will be observed and/or explained as well as local attempts to protect this delicate species. Be a ‘Plover Lover’! Sign up for A17 – 7:30 AM – SATURDAY, MAY 24 – or B23 – 1:30 PM – SATURDAY, MAY 31 – THE TALE OF THE PIPING PLOVER and experience the unique, fragile world of these special birds and what is being done to help this species survive. Stewart Nutt is a retired educator and local naturalist who led the Piping Plover recovery project for five years. 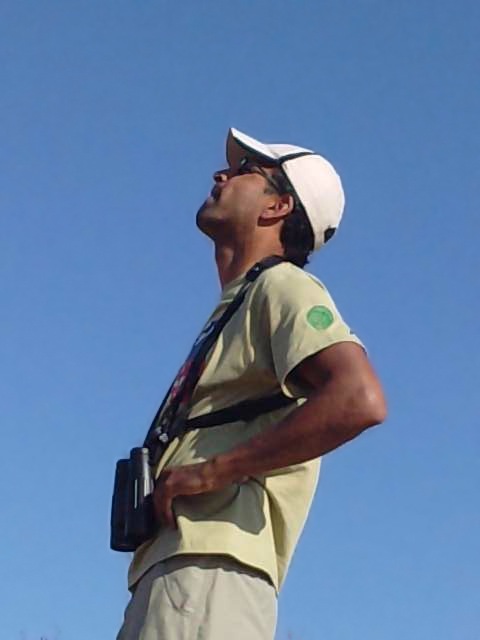 His Piping Plover knowledge was gained through countless hours of both personal and project participant observations, along with current information from visiting longer established projects in Michigan, New Brunswick and Prince Edward Island. Below is a complete list of the Huron Fringe Birding Festival events that still have openings. Have a look. ONE OPENING LEFT – A7 – 1:30 pm – TREE IDENTIFICATION USING LEAVES & NEEDLES – Jim Coles. We will identify conifers and hardwoods in the vicinity of the Visitor Centre by leaf and needle characteristics. 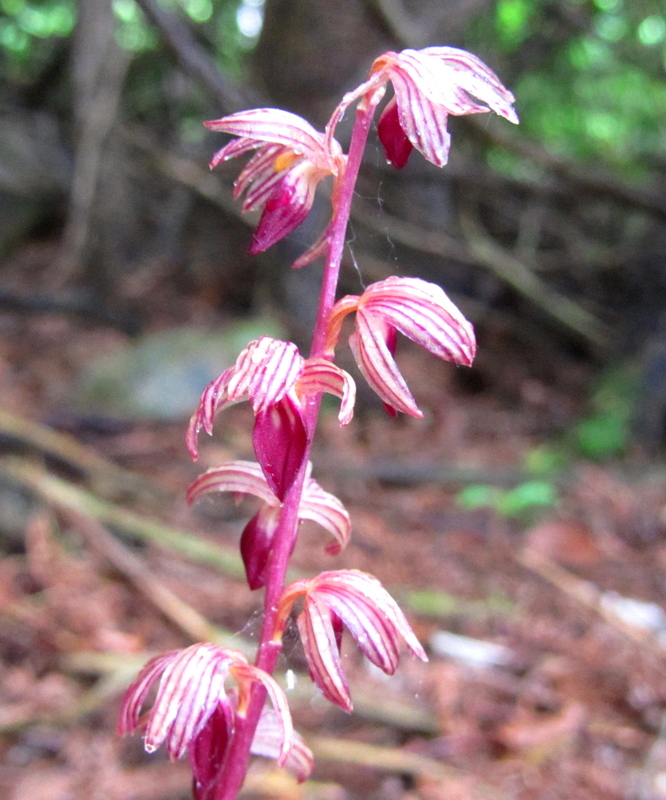 The use of botanical keys will differentiate between species. A8 – 1:30 pm – THE GEOLOGY & GEOMORPHOLOGY OF THE HURON FRINGE – Norbert Woerns. 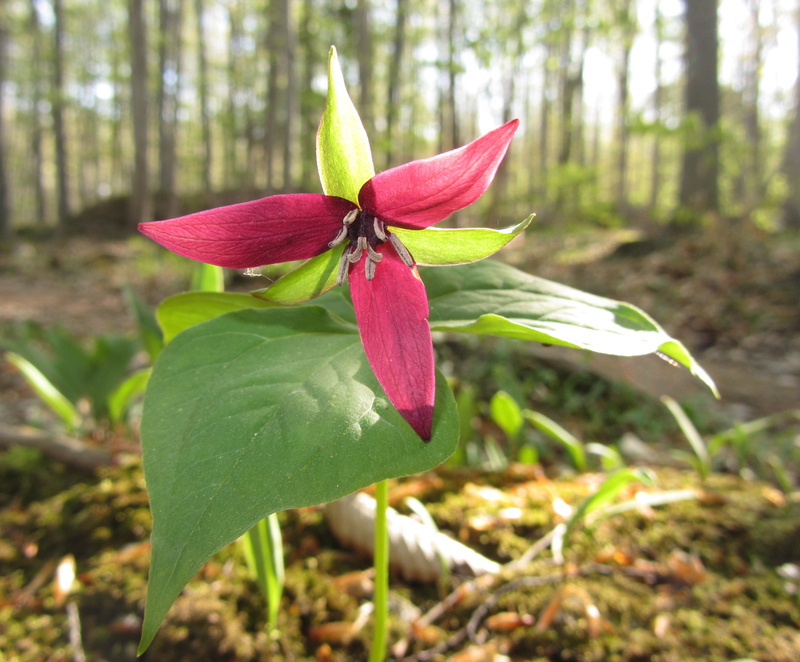 This driving and walking field trip will include stops at the Algonquin and Nipissing bluffs and a walk along the Detroit River Group outcrops to Gunn Point at Inverhuron Park. 3 OPENINGS – A11 – 6:30 am – SOUTH SHORELINE TOUR – Marshall Byle. Marshall will follow the Lake Huron shoreline and include stops at varied habitats between MacGregor Point and Inverhuron. Species may include Common Moorhen and Orchard Orioles. 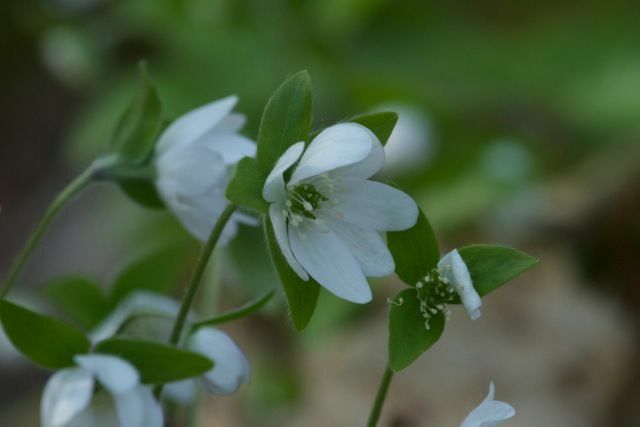 ONLY 3 OPENINGS LEFT– A31 – 1:30 pm – NATURE RAMBLE – OLD SHORE ROAD TRAIL – John Reaume. A leisurely walk along the Old Shore Road Trail near the Visitor Centre. 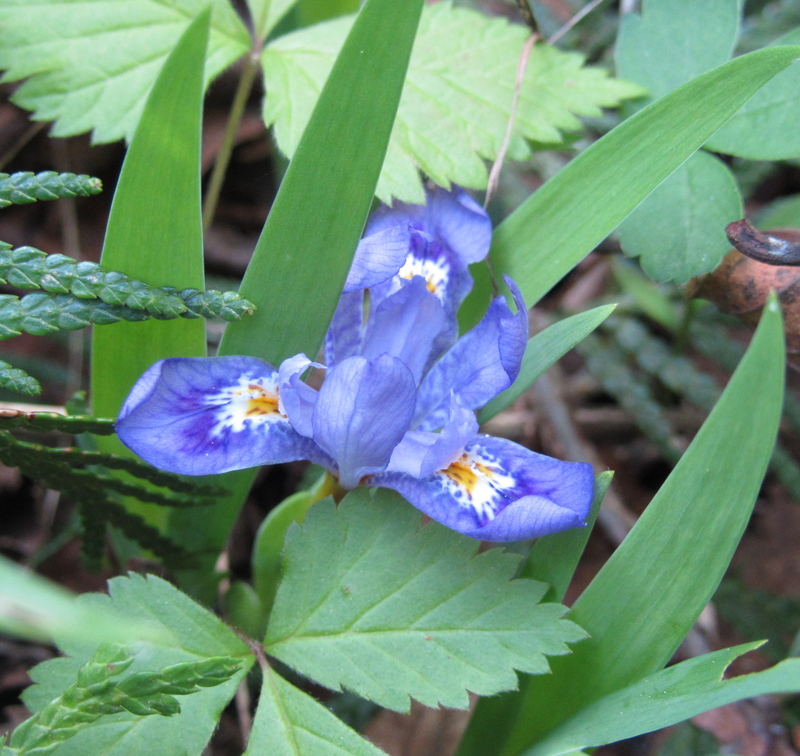 Plants, flowers, dragonflies, birds – let’s see what we find. ONLY 3 OPENINGS LEFT – B14 – 1:30 pm – ROADSIDE BOTANY RAMBLE – Larry Lamb. Explore various roadside habitats in the vicinity of the Visitor Centre. 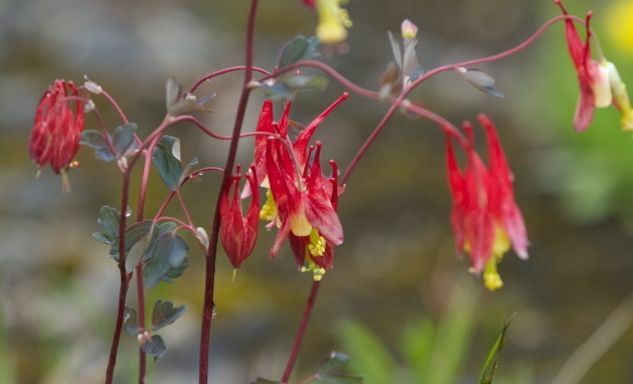 Learn to use identification keys and Newcomb’s Wildflower Guide (Bring yours along!). ONLY ONE OPENING LEFT – B34 – 8:00 am – SEARCHING FOR STRAGGLERS – MacGREGOR’S LATE MIGRANTS – Michael Carlson. Join Michael as he searches select spots in MacGregor for breeding birds as well as late spring migrants, such as Yellow-bellied Flycatcher and Gray-cheeked Thrush. ONLY ONE OPENING LEFT – B35 – 1:30 pm – EXPLORING KINGHURST FOREST – Tanya Pulfert & Catherine Jimenea. Kinghurst Forest is a special place and Catherine and Tanya are keen to take you for a walk through this Ontario Nature property. On this general nature walk you will be a Citizen Scientist and report your reptile and amphibian sightings. Since retiring from teaching Doug Pedwell has indulged his lifelong passions of nature study, photography and travel. He can often be found wandering the back roads of Grey and Bruce Counties, camera in hand, searching for that perfect shot of flora, fauna, birds and landforms. You will definitely feel that a day with Doug in the field is informative, rewarding and a whole lot of fun. 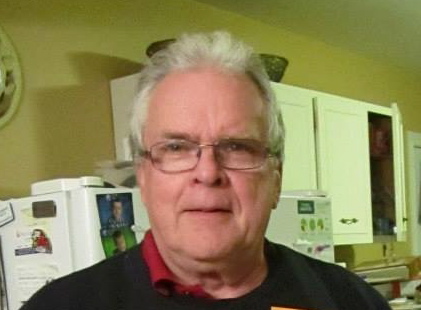 A member of the Bruce Birding Club, the Saugeen Shores Camera Club and a past president of The Friends of MacGregor, Doug has also participated in the Huron Fringe Birding Festival as an event leader and committee member for quite a few years now. Doug will be leading three events at this year’s Festival. 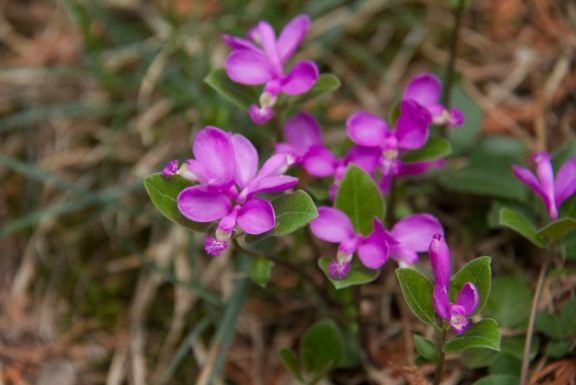 Here is his description of what he expects to accomplish on Down & Dirty – Wildflower Photography (B4). Down and dirty is just what it means. I’ll take you along the Old Shore Road trail in MacGregor Point Park. As you amble along the way I’ll stop and explain various techniques to use in shooting photographs of wildflowers. You can expect to be lying on the ground trying to get pictures at the flowers at their level. Make sure you have your camera’s manual with you, as you may want to try different settings. Discussions about aperture, shooting speeds, focal length will be part of the event. As with most photography trips there is a theme, but we take advantage of whatever Mother Nature sends our way. 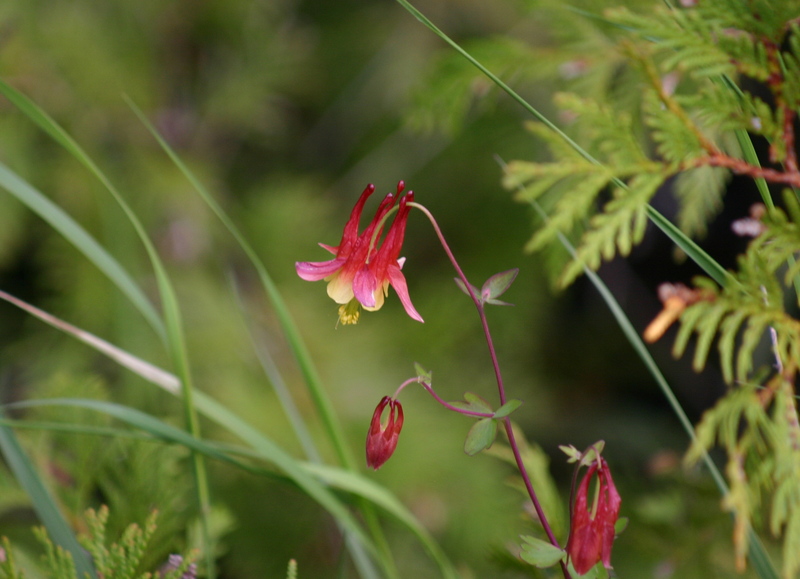 B4 – 7:30 am – DOWN & DIRTY – WILDFLOWER PHOTOGRAPHY (see this blog) – Thursday, May 29. 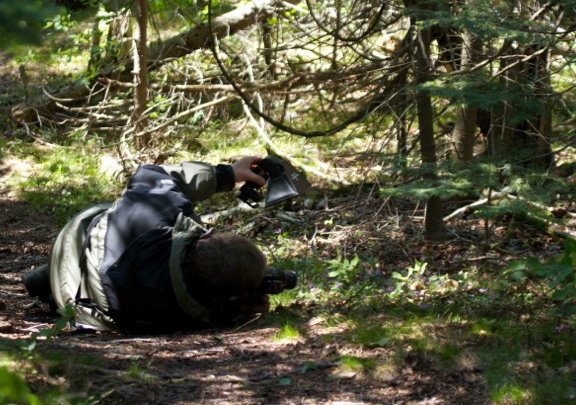 B10 – 6:45 am – NATURE & LANDSCAPE PHOTOGRAPHY IN SOUTH BRUCE PENINSULA – Thursday, May 30. 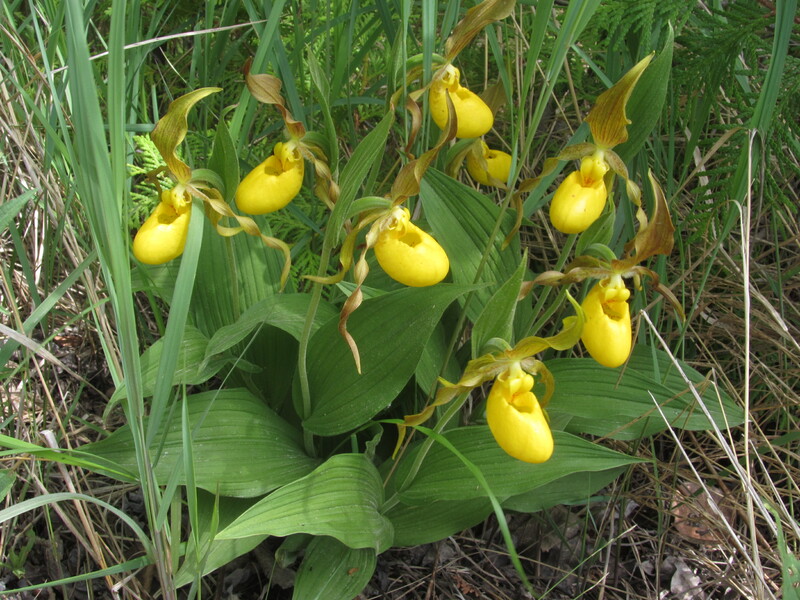 We will photograph some of the unique plants and rugged landscapes that the Niagara Escarpment has created. (Difficult, car-pool, bring lunch) Bring DSLR camera & accessories. Heather Starrs and MacGregor Point Provincial Park are well acquainted with each other. 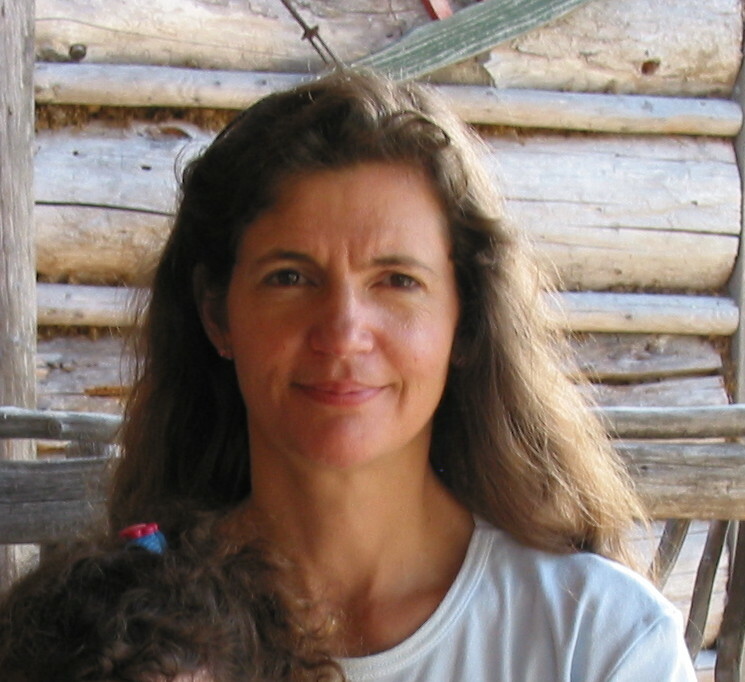 After completing her Honours Degree in Biology, with a focus on wildlife biology and ecology, at Trent U and then earning her Teaching Certificate at Brock University, she worked at MacGregor from 1988-1997, and again in 1999. Heather was responsible for all Visitor Centre programming, summer students and volunteers. She assisted with the organization of the first Huron Fringe Birding Festival, spent 6 years on the board of Friends of MacGregor, and was manager of the Huron Fringe Shop for several years and editor of the Spotted Turtle Newsletter. Heather’s programming interests included carnivorous plants, spiders and wildflowers. Currently she spends her time with her “four wonderful children,” and volunteers at the school and church. When the weather allows she likes to venture out on her bike with her camera to search for local wildflowers to add to her photo collection.